on September 21, 2016 To hear audio click here. 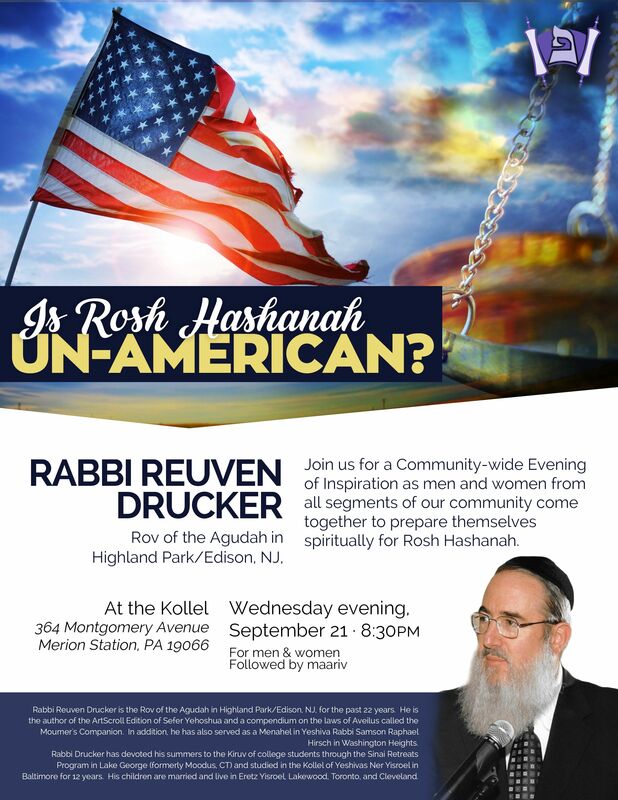 ﻿Rabbi Reuven Drucker is the Rov of the Agudah in Highland Park/Edison, NJ, for the past 22 years. He is the author of the ArtScroll Edition of Sefer Yehoshua and a compendium on the laws of Aveilus called the Mourner’s Companion. 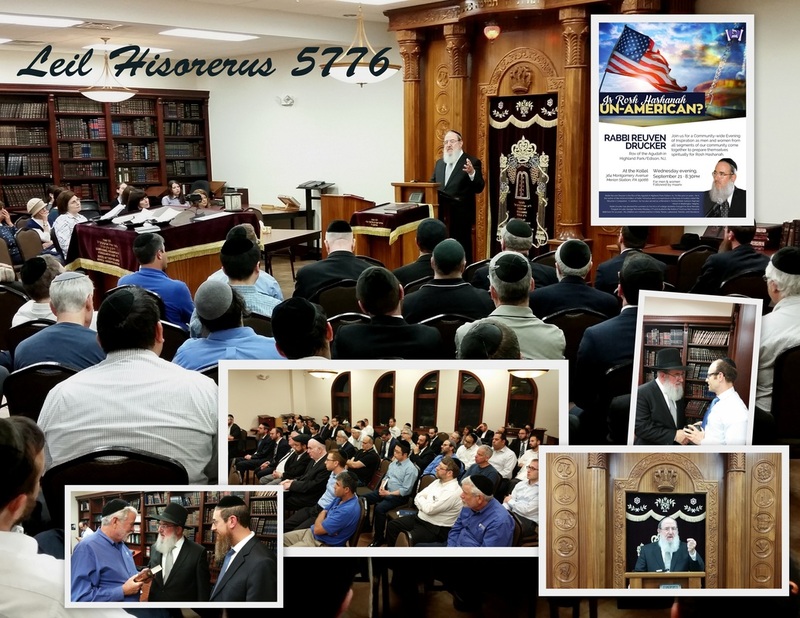 In addition, he has also served as a Menahel in Yeshiva Rabbi Samson Raphael Hirsch in Washington Heights. Rabbi Drucker has devoted his summers to the Kiruv of college students through the Sinai Retreats Program in Lake George (formerly Moodus, CT) and studied in the Kollel of Yeshivas Ner Yisroel in Baltimore for 12 years.